Government of India had launched various initiatives through Ministry of Urban Development for ensuring effective solid waste management by the respective municipalities in the country. 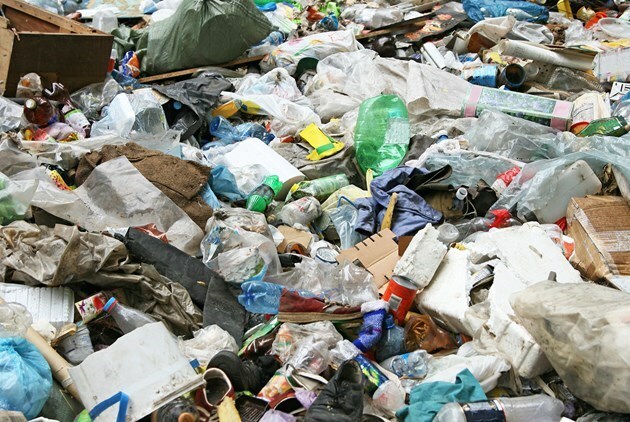 In accordance with the initiatives and also to realise the country’s objective of Swachh Bharat Abhiyan and also to qualify for a Smart City title, the Shimla Municipal Corporation, too in early 2018 had widely publicized the programme of collecting house hold garbage under its already in operation door to door scheme. The mission specified days for wet garbage collection and for dry garbage collection. While the dry garbage was to be collected only on Wednesdays, the wet garbage was to be collected on all other days. Three months later we find that the house hold garbage is still being collected in a single bag by the designated workers of SEHB. While the residents have failed to segregate their garbage, how could the collectors manage the dustbins. Accordingly, the entire garbage collected in one go is dumped in the deployed trucks by these workers for further disposal at the Waste Treatment Plant on Airport -Tara Devi road. The objectives publicised have neither been practised by the house holders, nor by the garbage collectors. There are thousands of workers employed to collect house hold garbage, and hundreds of trucks that move through the entire length and breadth of the city transporting this garbage to the specified dumping locations. In addition to the house hold collections, the city dwellers are also in the habit of dumping their garbage bags along the streets while many are still seen throwing it down the hills, ill-concerned of the damage to mother Nature. . As such the realisation of the objective still remains a far cry. Under the scheme the residents of Shimla have been requested by the municipality through various campaigns to segregate their house hold garbage in two bins. The green garbage bin was supposed to be for the wet garbage of the kitchen primarily like peels and remains of vegetables, leftover cooked and uncooked food, egg shells and bones of chicken, mutton ,fish, soiled tissue paper, remains of garden, plastic packets, cups, bottles, covers, and emptied milk and curd packets. Obviously, this kind of garbage could be processed for creation of valuable compost and organic fertilisers which are widely being propagated by film celebrities like Amitabh Bachhan, and the plastic items could be reprocessed for reuse. The dry garbage was supposed to comprise of newspapers, stationery, paper boxes, tetra packs, metal containers, rubber, thermocol, old clothes, ceramic items, coconut shells, wood pieces, etc. This type of garbage was supposed to be used for energy generation. It is unfortunate for the city that neither the dwellers nor the garbage collectors are concerned for the actual motive of the campaign. It is not only for the management of ever increasing city garbage, but also to ensure a clean and green environment. Mismanagement of even small waste quantity in fragile ecosystem of Himalayan state may lead to serious environmental and health problems. Today we find that the natural and man-made stateroom drainages are clogged due to indiscriminate dumping of waste leading to unmanageable situation especially during monsoon season. Piled heap of garbage disturbs the aesthetic view and create scavenging problems as well.